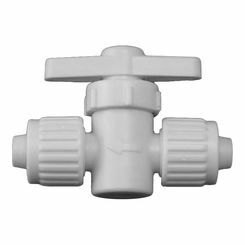 Flair-It 06880 PEX Straight Stop - 1/2"
Fitting Sizes : 3/8" X 3/4"
Flair-It 06914 PEX 3-Way Center Drain Valve - 1/2"
Flair-It 06860 Fitting Cap - 1/2"
We have a nice selection of discount PEX fittings here at PlumbersStock. 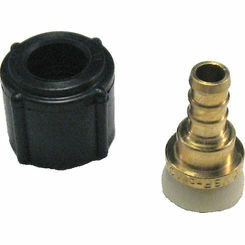 Compression and expansion fittings will make it easy to connect PEX tubing. 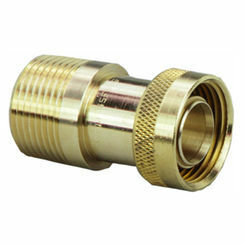 You can find all the best fittings for your plumbing project, online. 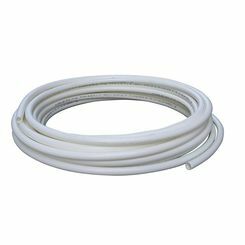 PEX is an abbreviated way of saying “cross-linked polyethylene”. Save on PEX pipe fittings and update your installation. With hundreds of discount options< (Viega, Sioux Chief, AY McDonald) to choose from, we have everything from PEX compression fittings to "press". If you have any trouble finding what you need, please contact us. 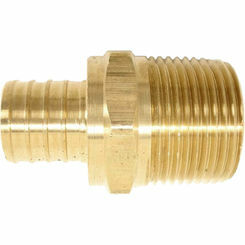 Brass crimp style fittings are the most common and affordable option. 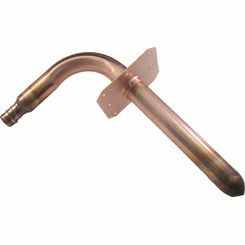 They are made from brass and can be installed using either the crimp or cinch method. 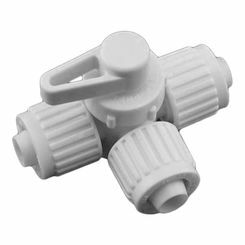 Poly or plastic crimp style PEX pipe fittings are usually manufactured from PSU and are available in white or black. 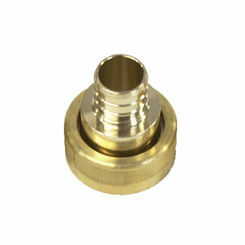 The poly fittings look similar to the brass style and come with the same amount or barbs that hold the PEX pipe. 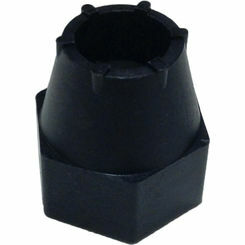 They can also be installed using either the crimp or cinch method. 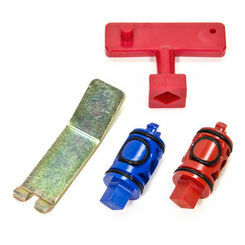 Push-fit or SharkBite fittings are the only ones that don’t require the crimp or cinch method of attaching the PEX pipes. How they work is that they’ve got a special locking mechanism to build into it that allows you to push the pipe into it. 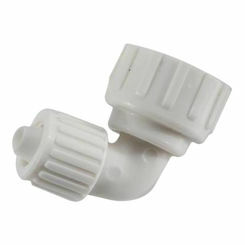 Once the PEX pipe is inserted into the fitting the only way to get it back out is to use a special disconnecting clip. 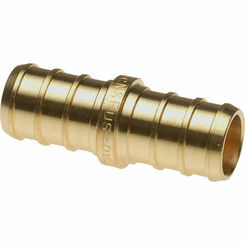 Most push-fit products are made out of brass or DZR brass and are compatible with all types of PEX tubing. 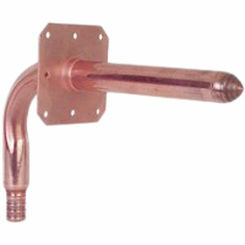 Push-fit fittings can also be used with copper and CPVC piping. 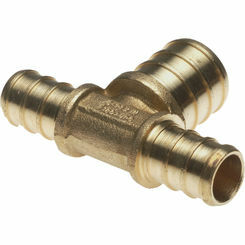 Press PEX fittings have more barbs that extend into the piping. They are also made out of bronze instead of brass. They require a PEX press Tool and Stainless Steel Sleeves to attach to the pipes. 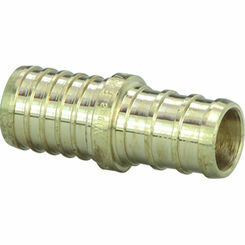 Expansion PEX fittings are made from either brass or poly-alloy. It’s got a larger middle barb that requires the PEX piping to be expanded to fit over it. 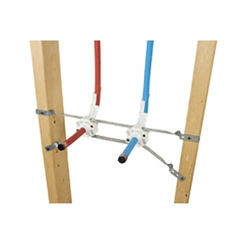 The only type of tubing that is compatible with the expansion fittings is the PEX-A tubing. 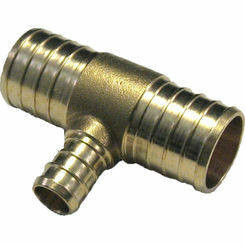 PEX Compression fittings can be used in PEX-AI-PEX tubing as well. This tubing usually comes with two rubber o-rings positioned over the barbs. 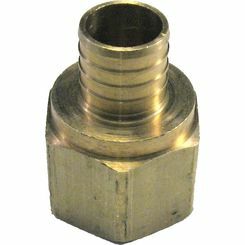 Each one comes with an insert that goes inside the tubing, a compression ring that is split diagonally, and a compression nut. 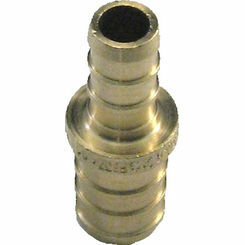 The insert goes inside the tubing and the compression ring on the outside with the compression nut over it. 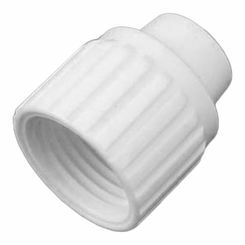 This is the only form of PEX fitting that does not require a special compression fitting. 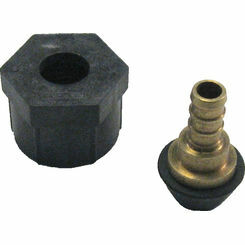 All you have to do is use a wrench or pliers and tighten the nut over the compression ring. 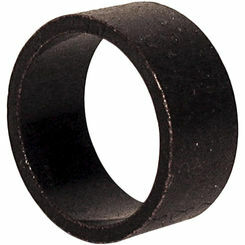 As the ring is tightened, the diagonal cut closes forming a compressed ring. Customers love our prices, our fast shipping, but maybe most of all our service. If you have any problems finding the right PEX pipe fitting, please contact our team of professionals. We are happy to help. 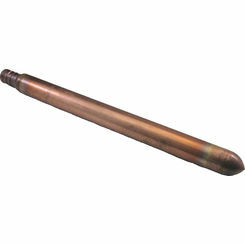 Enjoy saving money on the best plumbing products available on the web!